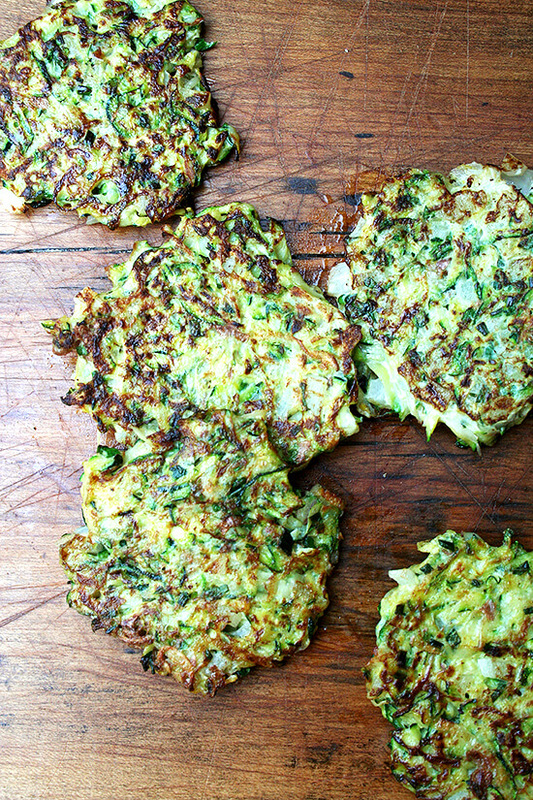 I think I’m the last person on the planet to make zucchini fritters. Why it has taken me so long to give them a go I do not know. Maybe it’s that I have a general pancake-making phobia? 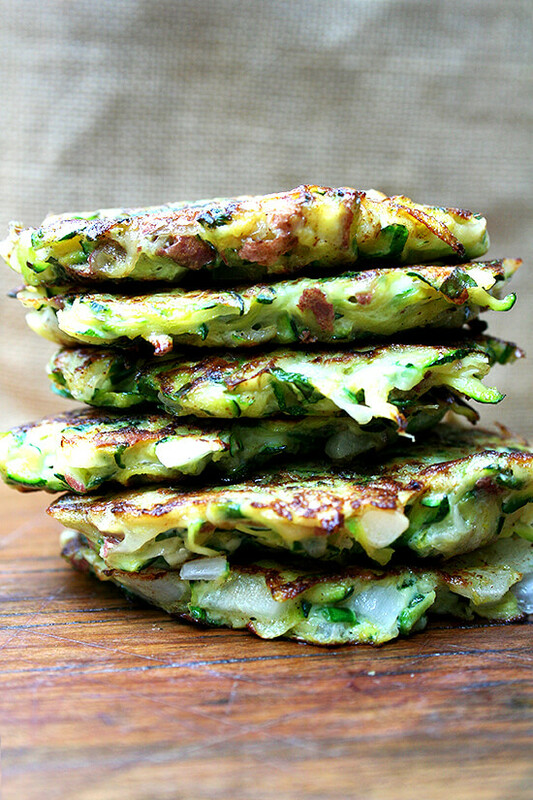 Or that the amount of zucchini-fritter recipes I have collected over the years in addition to the blog posts I have bookmarked and the cookbook pages I have dog-eared is a wee overwhelming? In any case, I got over it earlier this week, spurred by a revelation that helped me breeze through my zucchini-fritter recipe collection and locate a few promising recipes. My revelation, you ask? I realized I wasn’t interested in making a pancake — I wasn’t looking to make a floury, bread-crumb bound, cheese-laden pancake. I wanted something resembling a latke but composed of zucchini, which would be crisped quickly in a pan and served with something cool like sour cream or tzatziki. The recipe here fits that description. 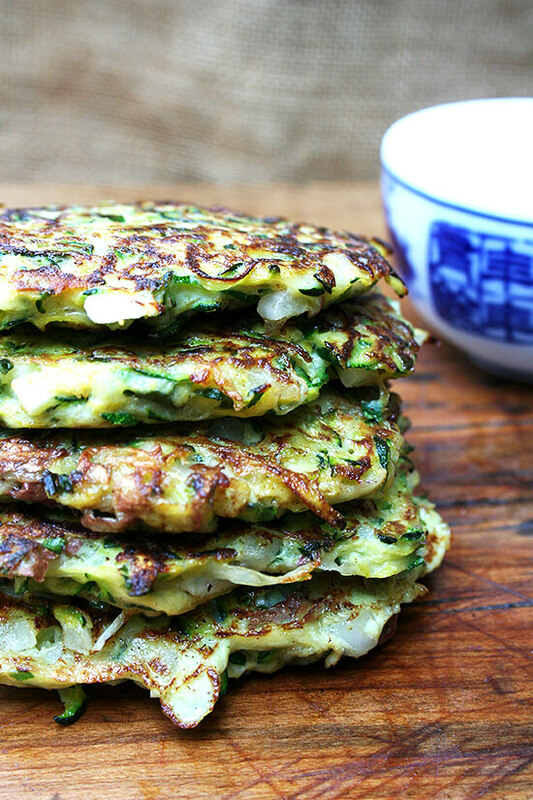 A combination of grated zucchini and potato with a little diced onion bound by a single egg gives these fritters that lovely latke texture. But the addition of lemon zest and lots of herbs give them a freshness and lightness that’s irresistible. I served this batch with tzatziki, which accompanied them well, but which truthfully is unnecessary — they’re so good on their own. Give them a whirl! I know you’ll like them. 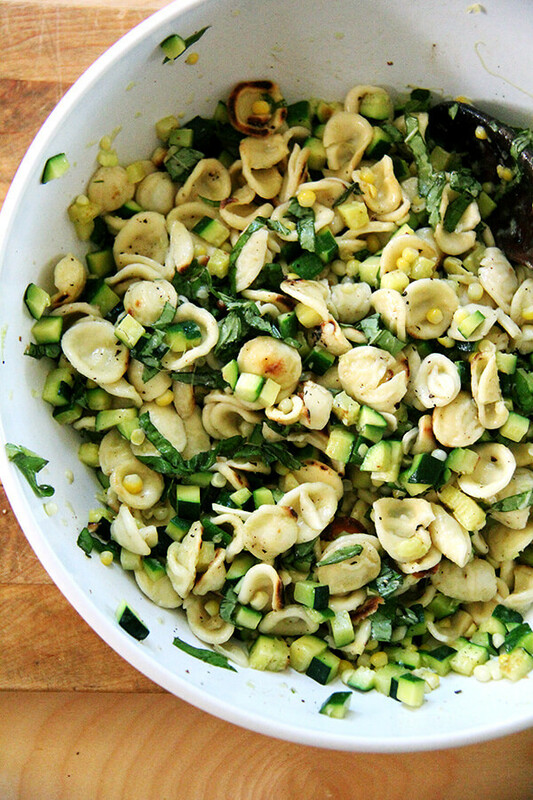 Place the grated zucchini and potato in a colander. Spread the veggies out to allow for maximum surface area exposure and sprinkle all over with kosher salt. Let sit for at least 30 minutes to drain. Meanwhile, make the tzatziki, if desired: Stir together yogurt, onion, mint, salt and lemon juice. Taste. Add more salt if necessary. Chill until ready to use. After the 30 minutes, squeeze veggies out and wrap in paper towels. Squeeze again. [Note: The veggies will not drain out enough liquid on their own in the collander, so squeezing them with a paper towel is a critical step to mopping up that moisture.] Open up the paper towel and spread out your veggies. Sprinkle with a pinch of flour to soak up leftover moisture. In a bowl, whisk together egg, herbs and lemon zest. Add salt and pepper to taste. 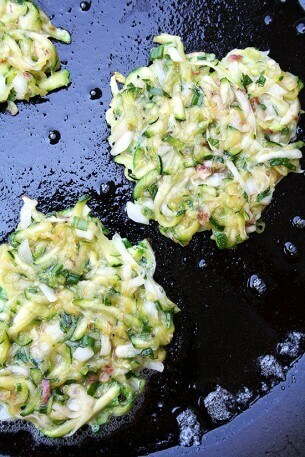 Add onion and grated zucchini-potato mixture. Stir well. Preheat over to 200˚F. Place a foil-lined cookie sheet in the oven. Heat a large skillet over medium-high heat. Melt 1 tablespoon of butter. When foam subsides, drop a spoonful of your fritter batter in. Gently pat with a spatula to flatten out the fritters, which will help make them crispy. Cook about 3 fritters at a time until golden brown on each side. Place fritters in the oven while you make additional pancakes. Serve as soon as possible with tzatziki on the side. Can you use sweet potato instead of white potato? Melanie — I don’t know, but I don’t see why not. And if you try it out and have success, can you please report back? I received a boatload of sweet potatoes in my CSA. I think you can basically make a fritter out of anything, and the purpose of the potato in this recipe is to provide a little more starch and structure, and I think a sweet potato might be able to play that same role. Good luck with it! Have you tried this with something other than potato? 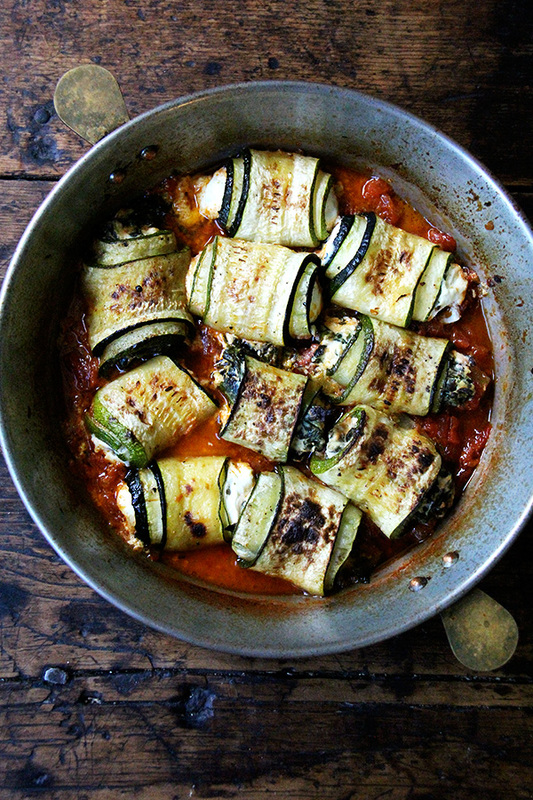 What other vegetable do you think would work in this recipe? thanks! Jessica — unfortunately, I haven’t, but I feel like fritters can be made from just about anything — sweet potato, cauliflower, broccoli, corn, etc. As long as the pieces re fine enough to hold together, and they enough liquid has been drained out of them, I think any veg will work…though I can’t say for sure. Do you have a specific vegetable in mind? I put 1 large shrimp in the middle. Sooooooo good. Brenda — amazing! So creative of you! I made these paleo by using sweet potato, squash, and zucchini. Instead of using flour I used almond flour. I did need two eggs to bind the recipe together. I added garlic and oregano. They were delish! Lauren — thanks so much for sharing this variation. I think many people will find this to be useful information. Love the idea of garlic and oregano, too. Mine is maybe a bit less paleo, but so yummy: 1 lb. 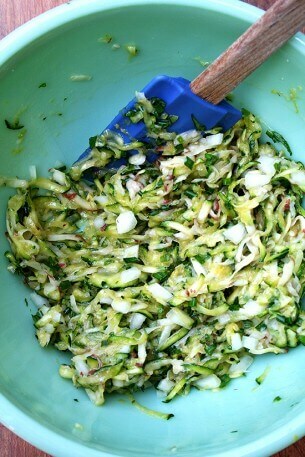 shredded zucchini, 1/2 cup flour, a chopped onion, and I top them with straight sour cream, and pink Himalayan salt. 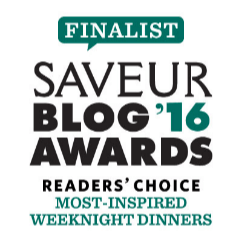 EvelynU — sounds delish, paleo or not 🙂 Thanks! These look great. My zucchini are overtaking my garden and I am always looking for recipes to use them in. Thanks for this one. I wonder if these would freeze well? Colleen — I haven’t tried, but I think it’s the kind of thing that would freeze well as long as it is wrapped well. i made these tonight with a few alterations. i think they need more than a pinch of flour, as mine weren’t as crispy as the potato pancakes i am used to. i also used shredded cucumber in my tzatziki with mint, some fresh chocolate basil and left out the onion as the fritters have plenty. yum! Patti — love this idea of chocolate basil in tzatziki! So interesting. Thanks for reporting your alterations — I should make a note about the flour. These were a disaster. I haven’t had a recipe turn out so poorly in years. We threw it away and had broccoli instead. Wow, that’s really too bad. I’m sorry to hear this. What exactly went wrong? What an absolute moron you must be. 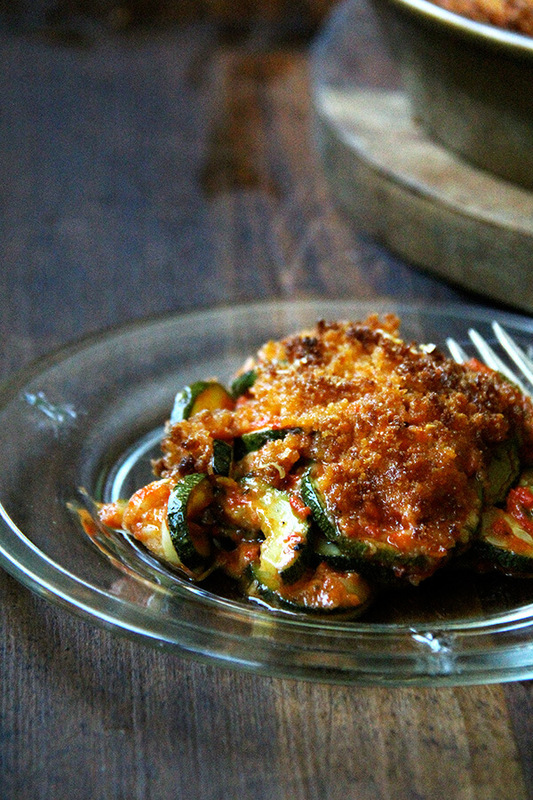 I would have to assume that you like zucchini and potato to even attempt this recipe. Judging by the fact that you would leave feedback like that with no details as to how you screwed it up says volumes for your personality. Is the intent to hurt someone’s feelings? If it is corrective criticism, that explain how you would make it better. Maybe next time you turn on the oven. shhhhhhh it’s the part that she left out. Thank you, Kenny. Means a lot to me to have you chime in here. 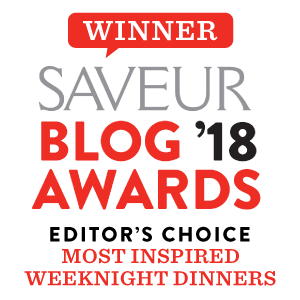 I know these are just blog comments, but they really are upsetting especially when I take the time to document the steps and write out a thoughtful/accurate recipe. Alas. Back to those avoiding the starch: I wonder how cooked pureed carrots would do with the grated zuchs? Stiil some starch, but much less than either of the potatoes. OR…. mashed celeriac with scallions or mashed roasted parsnip…. mmmm. these are amazing! my family and friends i have made for love them! 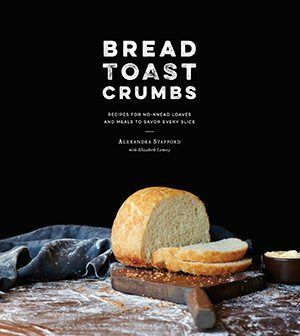 I would like to make these and take them to a luncheon to be served along side chicken grains and greens salad and butternut squash n pear soup. Very much a fall theme!! Can I reheat them in the oven? I know that right out of the frying pan is the best but trying to avoid making a mess of my friends kitchen. I think this sounds like a good topper/side with the salad. Can you tell I am out of my league cooking with these gals? A drink of some sort would be good….. Yes! Definitely reheat in the the oven. 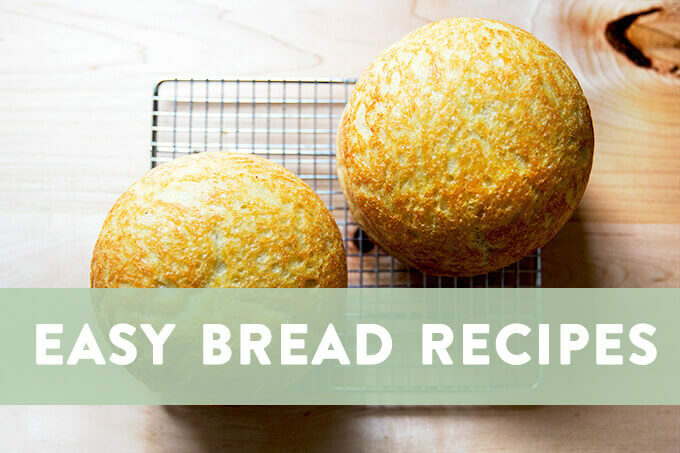 You can also stick them under the broiler for a minute or two — keep a close watch! Flip and broil the underside, too, again keeping a close watch. But perhaps heating in a 400 degree oven for 15 minutes or so is easiest. Have fun! 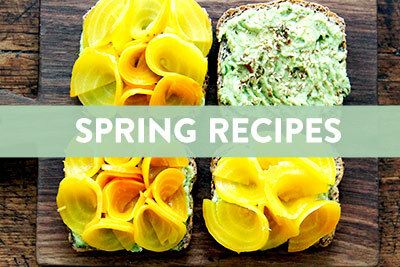 Preserved Lemons Two Ways: Weekend Project?